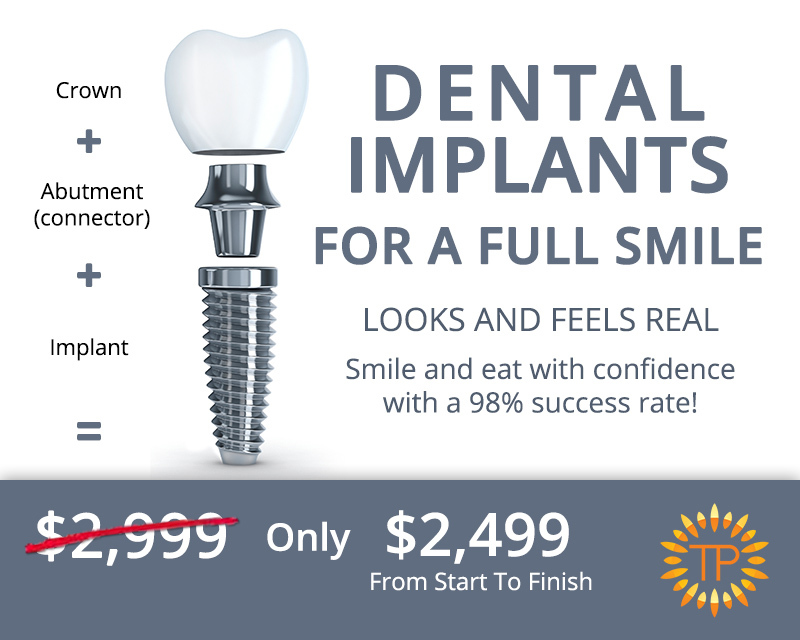 Traders Point Dental places dental implants in-house, saving you the hassle of finding a specialist and lowering cost through our start-to-finish promotion of an implant, post and crown for $2499! Missing a tooth can have a negative impact on your quality of life, as well as your oral health. When a tooth is missing, healthy teeth tend to shift position towards the gap due to bone loss and the path of least resistance, affecting our bite. 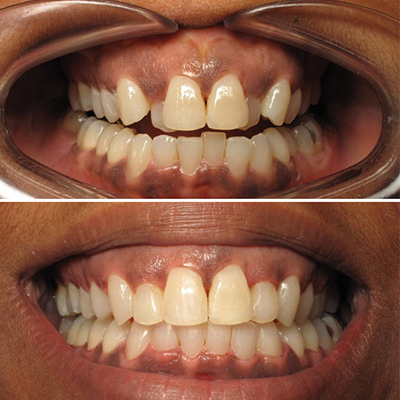 A missing single tooth can be replaced by a dental implant without altering the healthy adjacent teeth. Dr. Sang and the highly-skilled team at Traders Point Dental perform this procedure with minimal discomfort usually requiring only over-the-counter pain relievers after treatment. 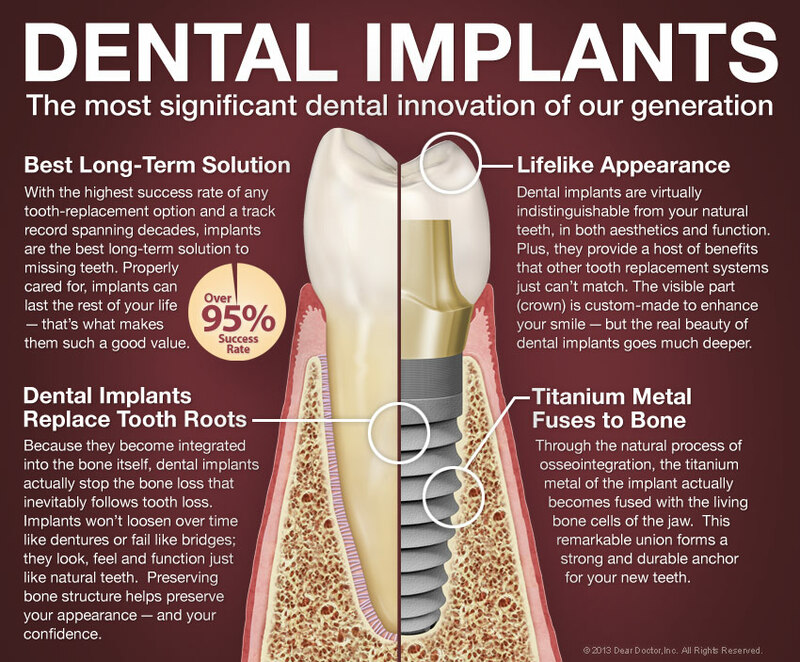 Widely considered the gold standard replacement for missing teeth, an implant serves as a replacement for the root of the missing tooth. 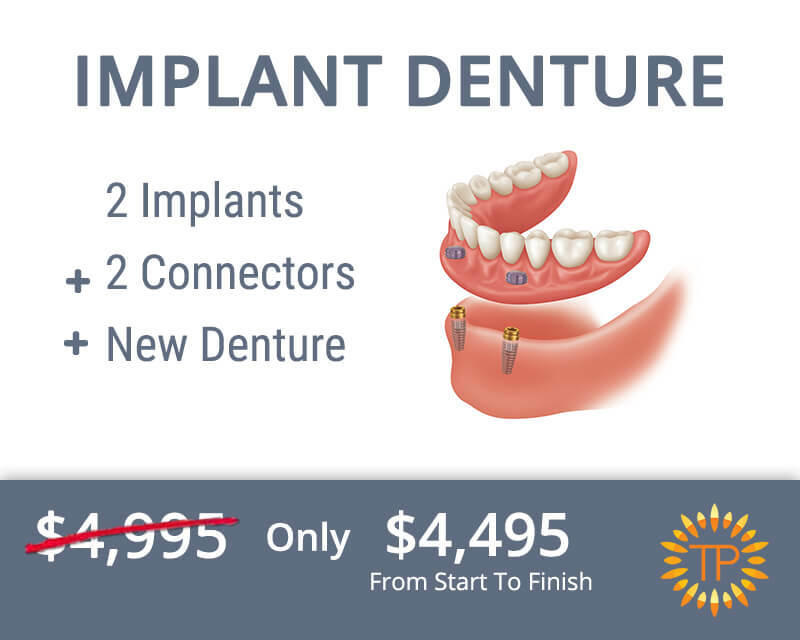 A small connector called an “abutment” is then used to attach the replacement crown onto the implant. 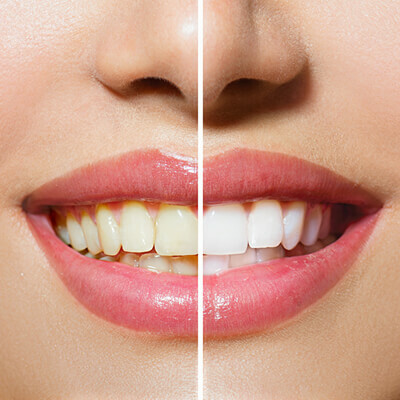 Your new tooth will look and function just like a natural tooth. 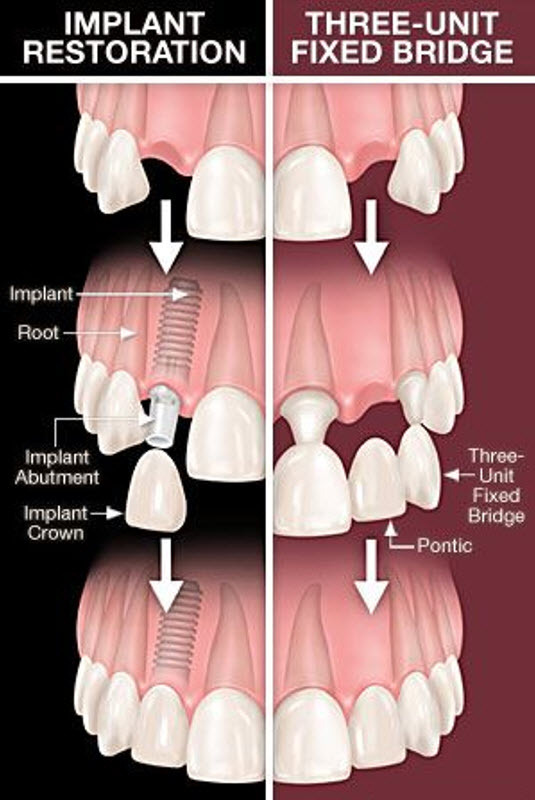 When it comes to replacing missing teeth, dental implants and fixed bridges are often the most recommended treatments. What’s the difference between the two? How do you choose which option is right for you? Consider the following side by side analysis to help you decide. Cost comparable to a bridge Cost comparable to an implant. Download a complimentary brochure about our implant options from our partners at BioHorizons. While many dental offices advertise dental implant treatments, they don’t always place the implants themselves. Most dentists refer patients out to implant specialists, which can be expensive and inconvenient. Not at Traders Point Dental. Dr. 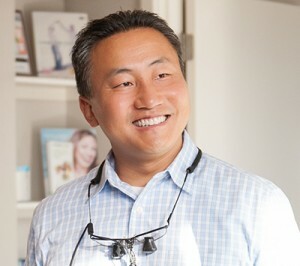 Sang is specially trained in the placement and restoration of dental implants. He can deliver an amazing result from start-to-finish at a lower cost to you. 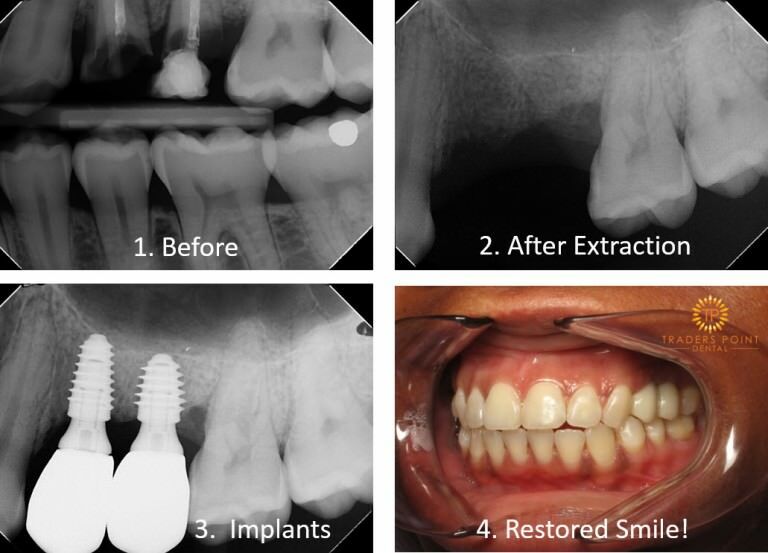 Once delivered, you will never think of the implant as anything but a natural tooth!